In the summer of 2007, my wife and I did something that’s stuck with us ever since. Something which we hope to do again someday… soon! We visited Munich, our last stop along a whirlwind tour of southern Germany, and decided to take in a historic beer hall. In fact, I was indebted to a friend and quasi-family member (hi Sarah!) for suggesting it. 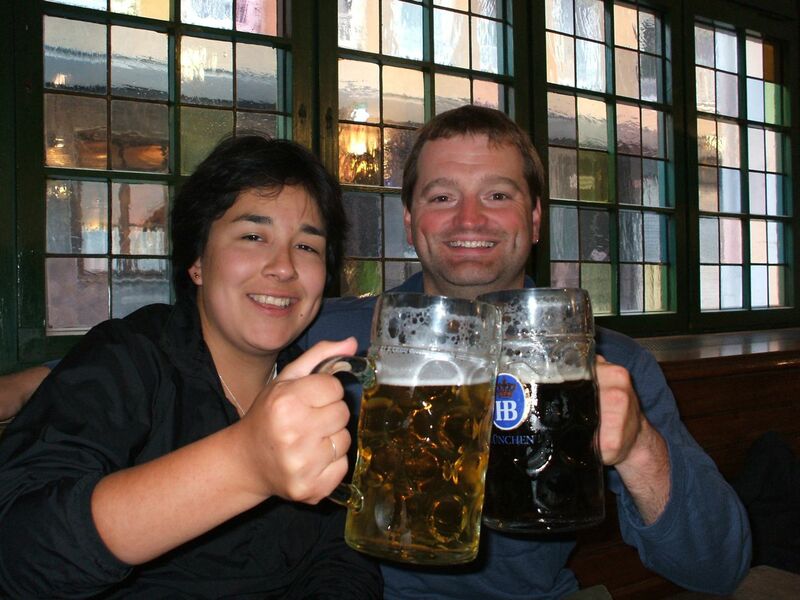 After sending out a mass email to friends and family, telling them we would be in Munich for a few days, she came back and suggested we see the place. 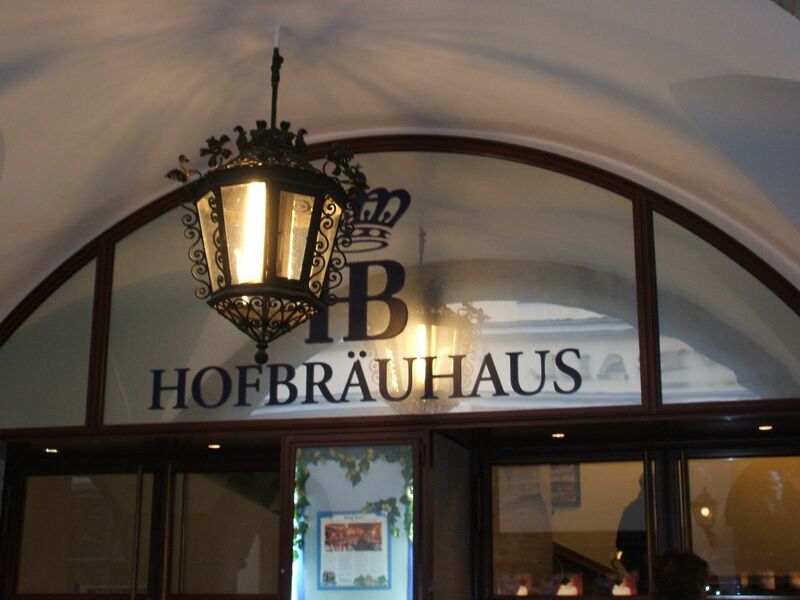 Naturally, some background is needed to properly set the scene: established in 1589 by the Duke of Bavaria, Hofbrauhaus remains one of the oldest beer halls in Germany. Originally, it was established to serve the needs of the Royal House, which was located right around the corner from it and quickly expanded to serve the needs of the community. The beer quickly became famous, and even saved the city from annihilation during the 30 Years War. I’m not kidding! When King Gustavus Adolphus of Sweden invaded Bavaria in 1632, he agreed to leave the city in peace, but only if the citizens surrendered some hostages, and 600,000 barrels of Hofbräuhaus beer. 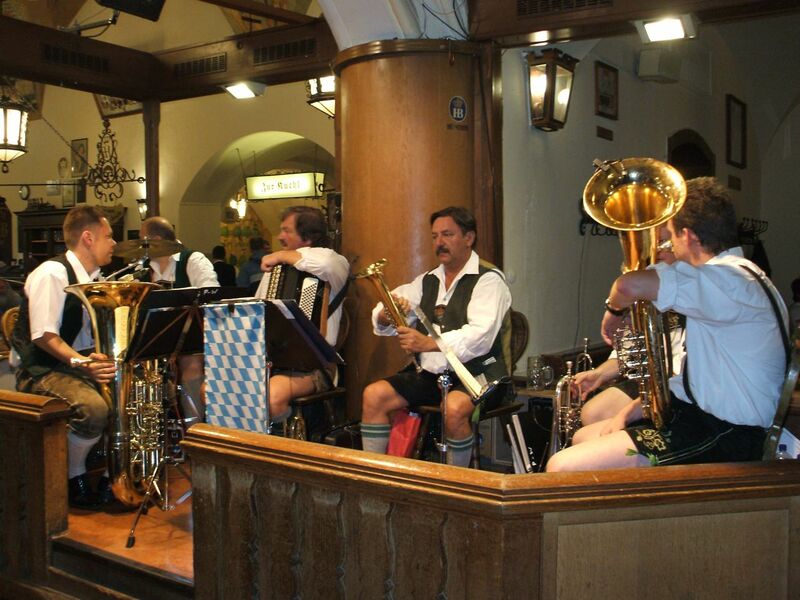 In addition, Mozart is said to have composed the opera Idomeneo thanks to this beerhall. While struggling with his muse, he found that a few visits to this hall fortified him to the task. Since that time, it has been visited by countless tourists, dignitaries and political figures, including John F Kennedy. It remains a major tourist draw to this day, owned by the state as a public brewery, restaurant and historic site rather than a private enterprise. It also runs the second largest tent during the annual Oktoberfest celebration and is one of the chief purveyors of beer for the occasion. At the time of our visit, my wife and I were unaware of much of this history. In fact, we wandered through Munich checking out the various beer halls, and I wondered in each case if this was the site of the famous putsch. It was only afterwards that I learned that not only were we in the place where it happened, we were probably seated in the very section where a young Hitler made his speeches! Needless to say, I was both blown away and disgusted! Which brings me, however circuitously, to the point of this post: this Christmas, I received one of the best gifts ever! A friend of my parents happened to be in possession of several Hofbrauhaus stone mugs that he managed to pick up while he was in Germany. Just recently, he had decided to contribute them to an auction, raising money for the Comox Valley Kitty Cat P.A.L.S. (Prevent A Litter Society). Naturally, my folks recognized the name and scooped them up. And given their inherent value, it was quite the deal! Each one was made before the Berlin Wall fell and the country was reunited, as the stamps on the bottom will attest to. Each one says, in little black letters, Made In West Germany. Given the historical significance of this place and the memories it brings back for me and my wife, we were both very pleased to get them! Kudos again to the parental units for procuring them! Ah, and speaking of this Christmas, my darling bride was also able to procure for me some tasty samples from the Pike Brewery that I have been unable to get here in Canada as well. Expect a review dedicated to them as well soon. 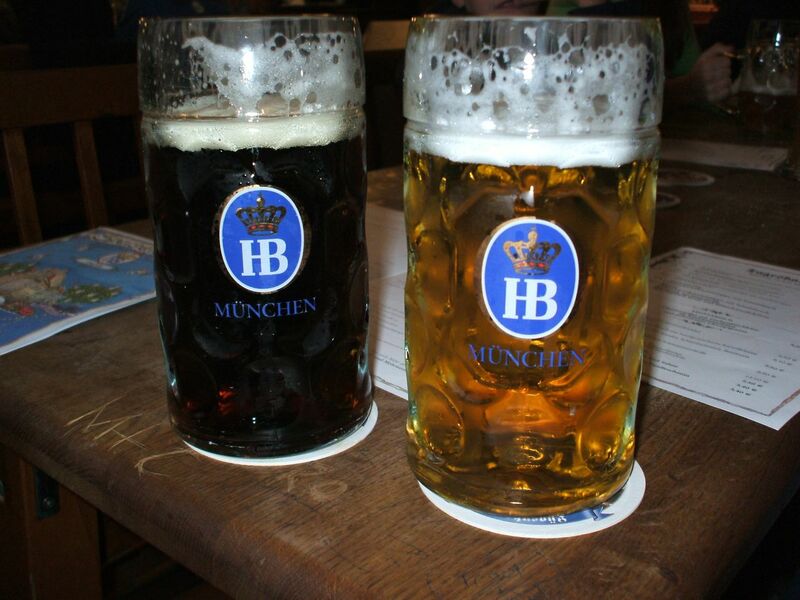 As with all my Christmas beers by Rogue, they too were enjoyed in a Hofbrauhaus stone mug! As a finale note, here is a link to Rogue’s website, and a picture of Jack Joyce, the co-founder and CEO of Rogue which I happened to come across in the course of my research into them. Doesn’t he just look like a brewer?! 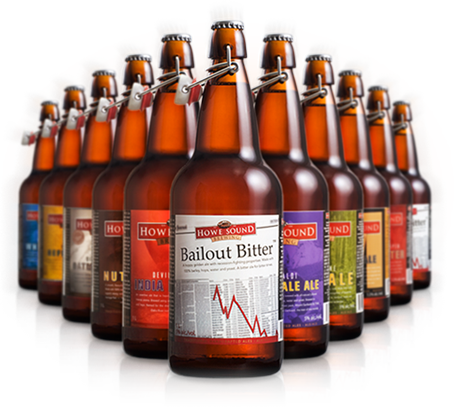 Howe Sound, located in beautiful Sqaumish BC, has been making craft beer since the mid nineties. 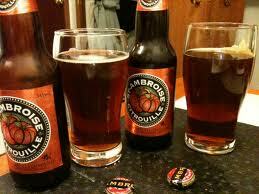 However, as with most BC beers, I only learned about shortly after I moved here. 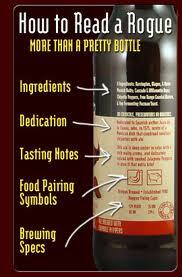 I believe I first spotted some of their signature bottles in a small liquor store in Duncan, and was quite impressed with their appearance. 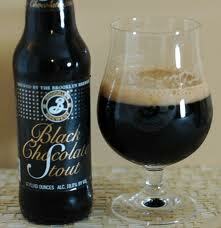 That first impression was surpassed only by the quality of the beer itself and they fast became one of my favorites. And the more of their products I’ve tried, the happier I am making them one of my go-to’s whenever it comes time to do some beer shopping.